Stay warm and stylish with this week’s Find! As the weather gets colder, a stylish, wear-everywhere coat becomes a closet essential. However, it’s easy to drop a lot of money on coat shopping. So what’s a cash-strapped college student to do? Check out this week’s Fabulous Find, of course. 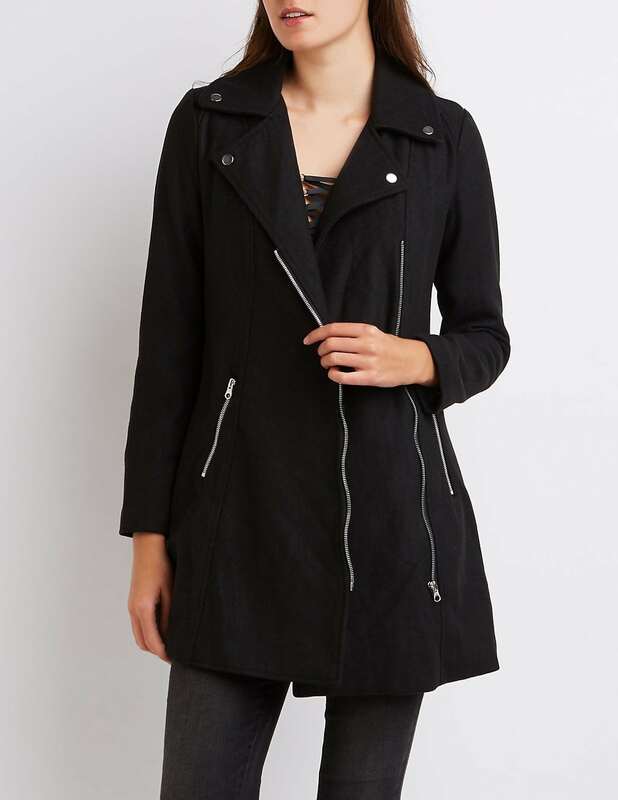 This week, Charlotte Russe has a sleek moto-inspired coat on sale for only $25 – what a steal! Plus, it’s made of a wool blend, so it will keep you toasty warm during the fall to winter transition. Wear this coat to work, class, or a fancy night out! 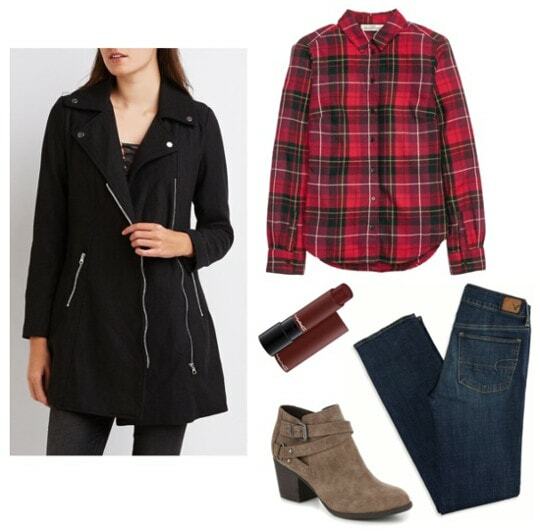 For a casual, everyday look, layer this coat over comfy fall staples. A plaid flannel shirt and straight leg jeans give off a tomboyish vibe, while the moto detailing on the coat and boots adds an edgy touch. Give the outfit extra polish with a swipe of pretty burgundy lipstick. This sophisticated look would be perfect for a fashionable job or internship. 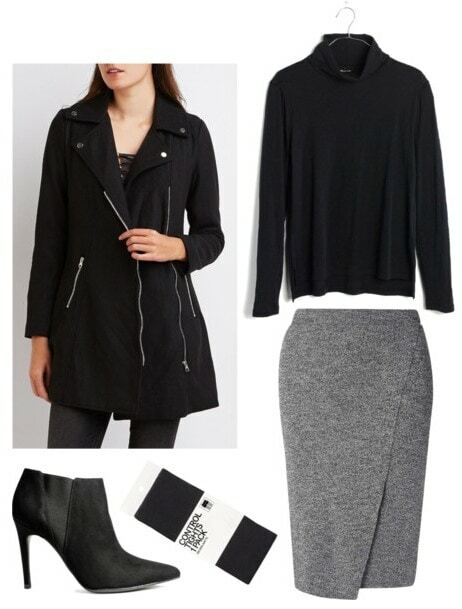 Pair a simple black turtleneck (a trendy staple at the moment) with a sleek wrap pencil skirt. Layer the coat over the top and rock black tights underneath. Lastly, slip on a pair of black stiletto booties for a dramatic touch. For a night out, balance the edginess of the coat with pretty, feminine pieces. 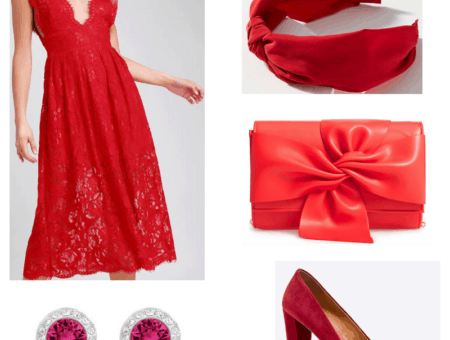 A lace-detailed a-line dress and red block heels add a fancy, flirty vibe to the ensemble. 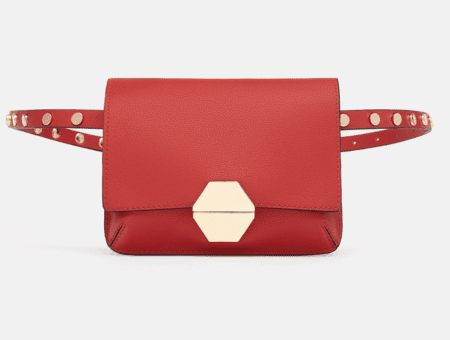 Lastly, grab a metallic clutch with chain detailing (a nod to moto hardware) to carry your essentials. What do you think of this week’s Find? Would you swap out your leather moto jacket for this moto coat? Let us know in the comments below!